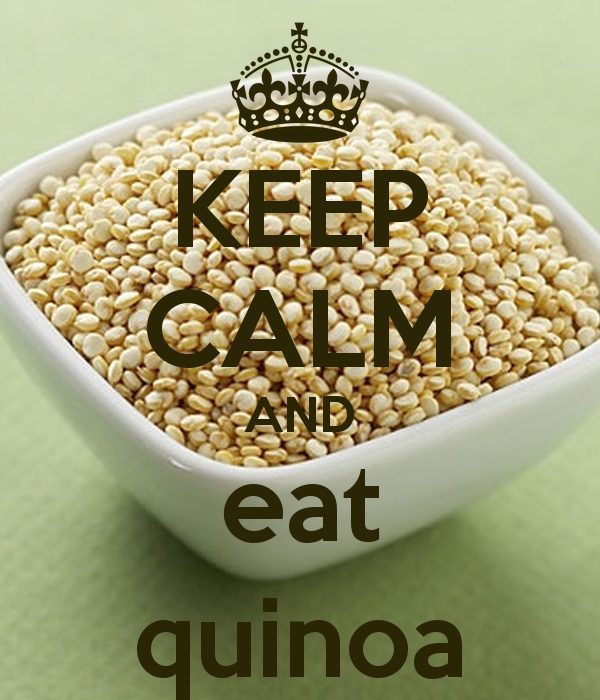 Quinoa (pronounced: keen-wah) is a grain crop primarily known for it’s edible seeds. 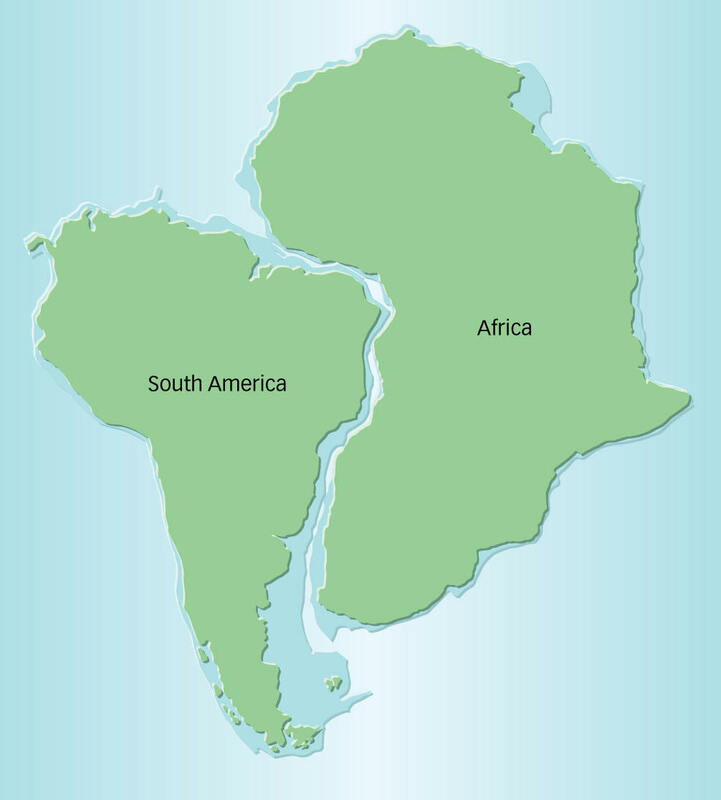 It’s not so popular in India but otherwise famous throughout the world. It is listed as a “superfood” and is a much healthier substitute to rice. 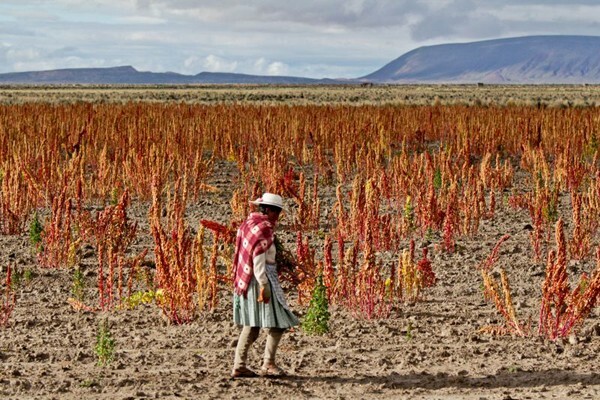 “Mother of all grains” or quinoa was first domesticated by the Andean people around 4,000 years ago and has always been a part of the staple diet of the Andean culture. Initially, this crop was considered sacred to the Inca people but as time has passed, it’s popularity has spread to places such as Japan, China, Europe, Australia, the United States and Canada for it’s nutritional value and health benefits and not for it’s sacrosanct value. 1) White Quinoa – Most common kind of quinoa. 2) Red Quinoa – Suitable addition in cold salads for its vibrant color. 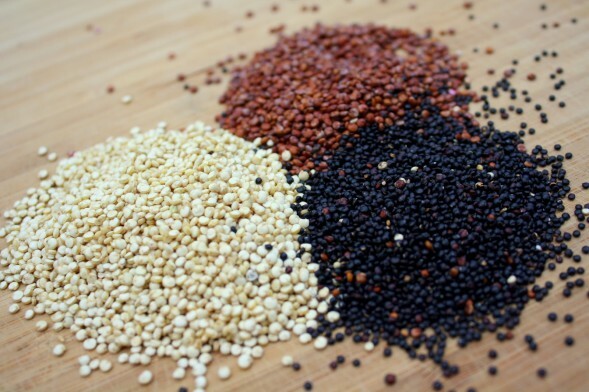 3) Black Quinoa – Earthier and sweeter taste that ivory (white) quinoa. 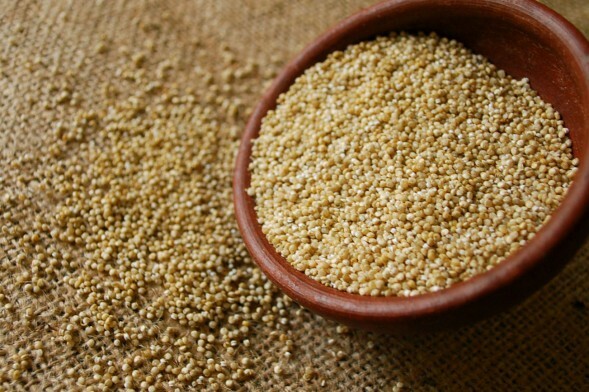 It is a common mistake to confuse quinoa with couscous. To clear things out, they are very different. 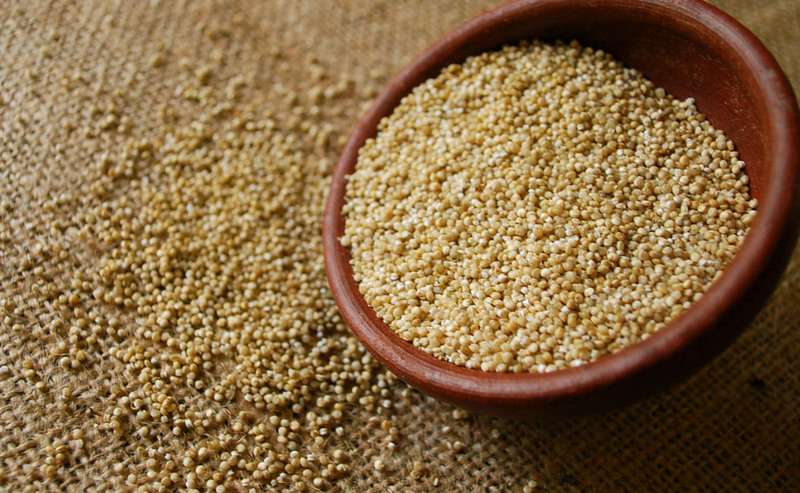 While couscous is made from semolina flour mixed with water and is a staple of South Africa, quinoa is actually a seed from a weed-like plant called goosefoot and is a staple of South America. Couscous acts as a good base for vegetables and meat and is generally served alongside; it does not taste that great as a meal in itself. On the other hand, quinoa doesn’t need anything to compliment it. It is a nutritious meal and can be consumed all by itself. Also, couscous is a good substitute for a pasta element due it’s similar taste whereas quinoa ban be a complete replacement for rice. Quinoa hasn’t been termed as the “mother of all grains” for nothing. It is packed with benefits and a cure for so many problems. It contains iron, potassium, minerals, dietary fibre, vitamins and protein. This powerhouse of nutrients protects your body against cancer, control diabetes, lowers cholesterol level and builds up stronger teeth and bones among many more benefits. This superfood is great for treating acne, reducing wrinkles and promoting good hair growth. It is also the number one food to eat if you wish to lose weight. 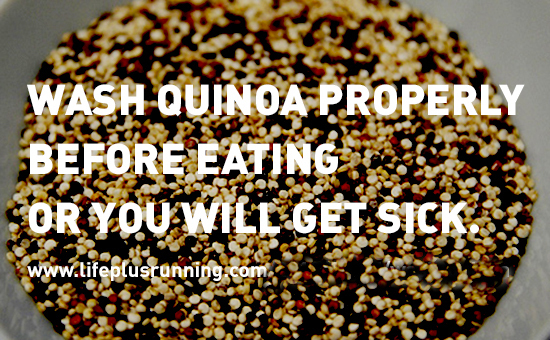 Quinoa has so many benefits that its side effects can be totally disregarded. 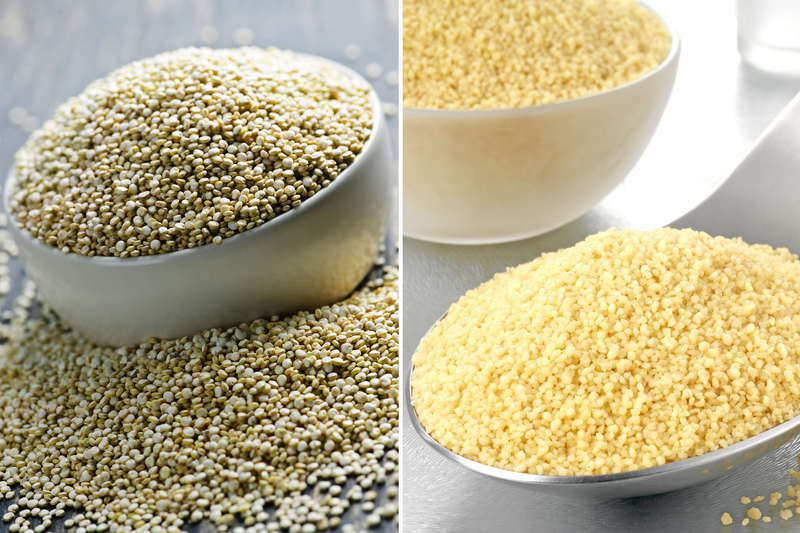 Probably the biggest side effect of quinoa is that it has a natural coating around it called saponin which, if not washed and removed properly, may cause irritation in the stomach. Otherwise, quinoa should be consumed in healthy portions. Quinoa is really simple to cook and takes hardly 15 minutes of your time. All you have to do is combine 1 cup of quinoa with 2 cups of water in a saucepan and bring it to a boil. Then cover it and bring the heat to low and allow the quinoa to simmer for about 12-15 minutes till it’s tender. 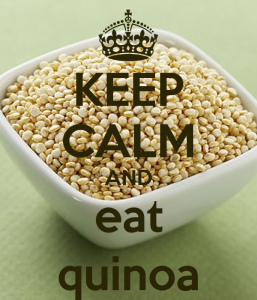 Don’t forget to drain the excess water after cooking because quinoa retains a lot of water. 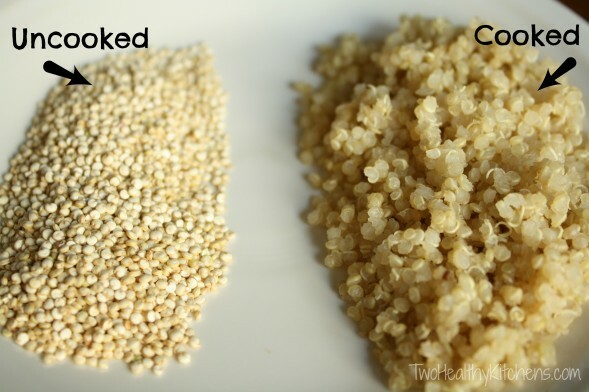 Quinoa is an excellent replacement for rice. It provides all the nutrients that rice can and so much more. 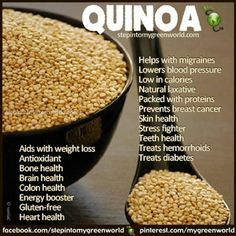 Anybody who wants to bring a change in their lifestyle and eat healthy food should consider including quinoa in their diet. It is very easy to cook and can be used in any recipe to make it healthier, such as a Quinoa Breakfast Bowl (blackberries/strawberries,yogurt, quinoa, almonds and honey) or a dessert (quinoa cookies/brownies, quinoa and honey granola bar, quinoa and blueberry pancakes).